FREE Donut at Krispy Kreme! Get a FREE Donut from Krispy Kreme for National Donut Day with Krispy Kreme! 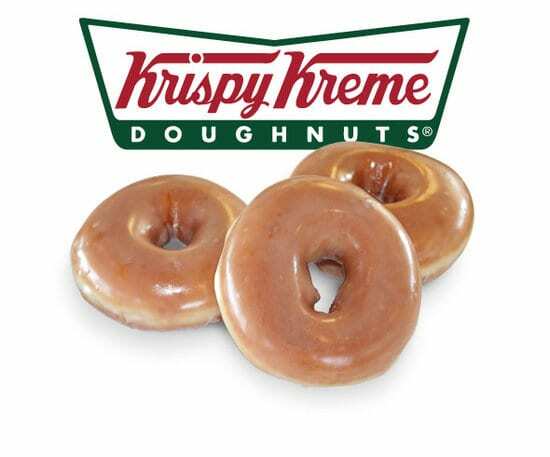 On June 1st, 2012 Krispy Kreme is celebrating National Doughnut Day with FREE Donuts! Celebrate one of the sweetest days of the year by commemorating National Doughnut Day with a one-of-a-kind complimentary treat from Krispy Kreme®. On Friday, June 1 stop in to any participating Krispy Kreme US shops for a FREE doughnut of any variety. No purchase necessary. One per customer. Get a FREE AirCraft Scent Sticks Sample! You can even choose the fragrance swatch that you will receive! This is a new product that is available in Target stores. FREE Orange Chicken at Panda Express! 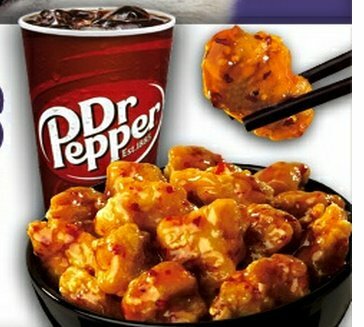 Get FREE Orange Chicken- at Panda Express! This coupon is to celebrate Panda Express’ Summer Hours so it is valid on Friday June 1st ONLY from 9pm to close! There is a printable coupon for Buy One get One Free SK ENERGY SHOTS ! This is 50 Cent’s new energy drink called Street King. 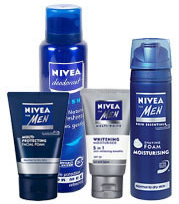 High Value Nivea for Men printable coupons! FREE Tide Pods from Vocalpoint! Vocalpoint is giving out FREE Tide Pods! Request yours now by Logging In or Signing Up for your FREE Vocalpoint account. Supplies are limited. Sample will arrive in 5-7 weeks. WIN a Step2 Kiddie Pool! Enter to WIN a Step2 Play & Shade Pool for some Summertime fun! Save more on car rentals to spend more on fun. Join Alamo Insiders for free and save 10% or more on every car rental! They also offer Exclusive Members Only Deals and Rates!! Jet Blue Airfare SALE – $59 Flights! Jet Blue is doing their One Way Airfare Sale again! Flights start at just $59! Book by May 30, 2012 (the earlier of 11:59 PM ET or local). Fares not available on Orbitz, Travelocity, Expedia or Priceline. Travel June 5 – September 26, 2012. Blackout dates June 28 – July 7, 2012. Darlin’ Deals has joined up with B and V Savings to promote their Giveaway! B and V Savings partnered with Crunchmaster and an awesome group of bloggers to bring you the Crunchmaster Multi-pack Crackers Giveaway. One lucky winner will receive a 6-pack sampler of the Crunchmaster Multi-Grain Crackers. All you have to do is fill out the Rafflecopter Below. Remember you can fill out as many or as few extra entries as you want on the Rafflecopter form! This giveaway will run from 12:01 am est on May28th to 11:59 pm est on June 2nd. The winner will be notified by email and will have 48 hours to respond or a new winner will be drawn! This giveaway is open to US and Canada. Entrants must be 18 years are older. Good Luck!